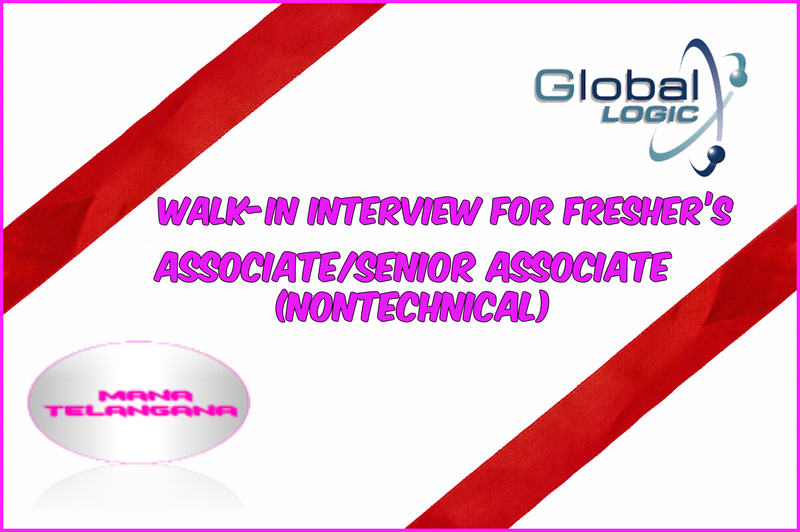 GlobalLogic Technologies Limited Walk-in interview for fresher’s on 10th, 11th, 12th Feb 2016 for Associate/Senior Associate -(NonTechnical) at Hyderabad. Any Graduate, Any Postgraduate can apply for the opening. Grab the great job opportunity to kick start your career as a fresher. Before you apply, read the job profile clearly to get to know the eligibility criteria.GlobalLogic Technologies Limited Walk-In Any Graduate, Any Postgraduate freshers 2016 for Associate/Senior Associate -(NonTechnical) at Hyderabad. Candidates who have completed Any Graduate, Any Postgraduate can apply for this job from GlobalLogic Technologies Limited. Salary: 1,75,000 – 2,25,000 P.A. Good with written & verbal communication skills.